If you’re not using hyperlocal marketing on your real estate site, you’re missing out on valuable search engine traffic! But never fear, it’s not too late to start – follow these hyperlocal real estate marketing strategies and your website will be on track to Google’s front page. What is hyperlocal marketing for real estate? Reduce a location down to its most specific areas and you’ve taken it hyperlocal, in real estate this usually refers to a specific subdivision or neighborhood. For example, consider the famous Lake Tahoe area. Lake Tahoe itself would not be hyperlocal, but the individual neighborhoods within are, such as Lahontan and Squaw Valley. If you aren’t from the area, it’s impossible to know the differences between these areas and why you’d want to maybe choose one over the other – that’s where you come in! How does hyperlocal real estate marketing benefit agents? As a Realtor® you know the area better than anyone else, so show it off! Position yourself as THE local expert and homebuyers will flock to your website for information. Hyperlocal marketing targets shops, activities, locations, events, and other pertinent info focused on just that neighborhood. It can also include essential real estate information like the number of homes built, age of the community, local builders, average home price, and other valuable market statistics. This deeper insight into your local real estate market adds value to your website and builds credibility, so think of every angle! By providing this information, your website will stand out against the competition – especially big box sites like Zillow. Read our article on The Little Real Estate Site That Could that dives in deeper about competing with Zillow, Trulia and Realtor.com for search engine positioning. By focusing on a smaller area, you’re competing for search engine ranking against fewer sites AND providing important content your buyers are craving. Have a buyer that doesn’t know the area well? Send them back to your website so they can read about the various neighborhood profiles and find the one for them! Are there good ideas for hyperlocal real estate marketing I can use? Yes! Look around your hyperlocal target area and think like an out-of-towner. Also take into consideration, what kind of info are homebuyers actually looking for? Get brainstorming! We’ve put together a launchpad of ideas to help you develop hyperlocal content and ideas for blogging while focusing on your hyperlocal area, Real Estate Blog Ideas – Think Local. Claim to fame, is there something this area has that makes it special? General aesthetics like street width, yard sizes, distances between homes, etc. Popular neighborhoods – where are they and what makes them stand out from the rest? Ask local friends and family for more ideas! What did they wish they knew before moving? How can I display hyperlocal real estate marketing content on my site? Hyperlocal real estate marketing strategies involves developing Neighborhood Pages local to your area and featuring these pages on your site. Be sure to make the links easy to find and use a specific page title i.e. Tahoe City, CA or Tahoe City Real Estate for stronger search engine optimization. With IDXCentral’s Neighborhood Profile add-on, we take the guess work out of setting up your pages so you can add your content with ease and publish it, like a blog post. Using an IDX Broker Reciprocity, you can add a saved market search that displays listings in the area, your leads can even sign up to receive automated emails with listing updates. View this great example about Mercer Island using our Neighborhood Profile add-on. 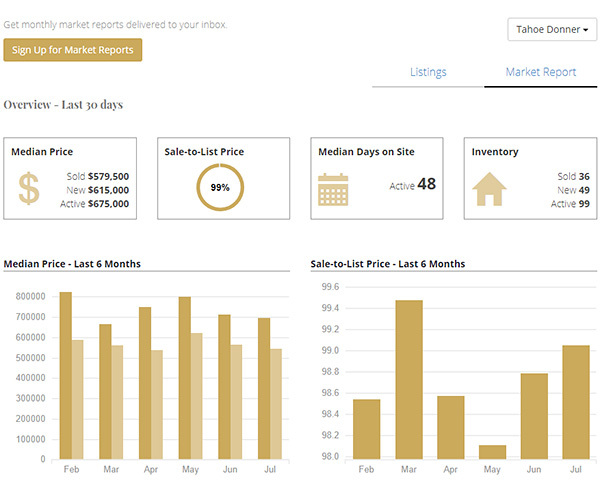 Use Market Stats to highlight recent market trends, like this automated Tahoe Donner, CA market report using iHomefinder MarketBoost. How about enhancing my hyperlocal marketing for real estate? Your Neighborhood pages should include a photo gallery, just grab your camera or fancy mobile phone camera and hit the streets. Need some tips on using your camera phone? Check out these 7 SmartPhone Photography Tips. Again, you know the area better than anyone else so you know where the good shots can be found. Hire a local photographer if you don’t feel confident in your photography skills or you want that extra edge. Video of the area is also highly prized, drive around the neighborhood and capture your own “about the area” video, or consider an aerial video using a drone. If you’ve already taken some video, but now editing seems daunting, don’t let it stop you! Check out Quik by GoPro which automatically imports your GoPro video footage, creating awesome videos synced to music, super simple and so satisfying that other Realtors will be asking who you hired for videography. Another similar application is Magisto, allowing you to shoot and edit a video as quickly as you’d make a blog post. Should I blog with hyperlocal marketing content targeted toward real estate? Absolutely, you should do this as often as possible. Check out our Real Estate Blog Ideas series – your resource for great blog ideas that will give your blog a power boost! Two to three times a week will have Google consistently indexing your site so you can see that ranking start to grow. Timely topics like what events are going on in the area are okay, but your local newspaper will also be writing about that so try to think of things that only a local expert real estate agent would report on. Is there a little mom and pop shop everyone should visit? A local (public) resident that influences the community? If there’s fleeting info you want to share about the neighborhood, a blog post will work great. For information that’s relevant to a neighborhood year round, consider putting it on a neighborhood page instead, or you could link to blog posts on your neighborhood page too! Need to see some great hyperlocal real estate marketing examples? Check out these neighborhood pages and you’ll see what we mean! Do you need a website or IDX solution to feature your hyperlocal marketing content? You definitely do! Your website will allow you to feature hyperlocal marketing content tailored for real estate, and so much more. A well developed site can be an amazing tool for generating and maintaining new leads. Here at IDXCentral.com we offer high-end custom website designs and affordable semi-custom sites, our goal is to find the best solution for your needs and give you the tools to take control of your website. As mentioned, we offer a great Neighborhood Profile add-on designed to showcase your hyperlocal content with area photos to attract and keep visitors. 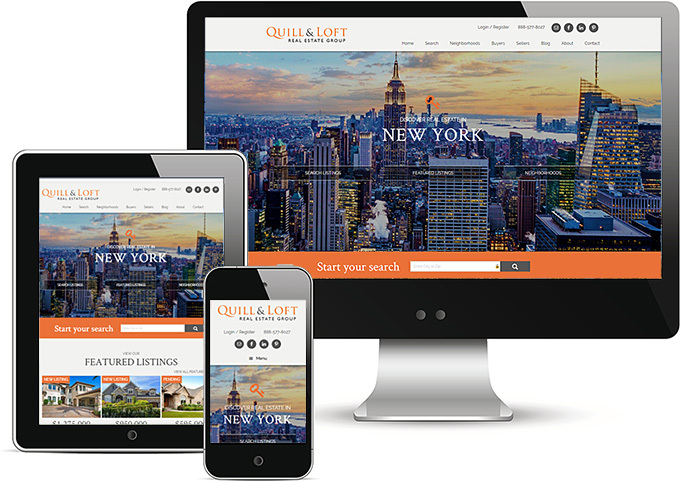 When it comes to our WordPress real estate websites we think of everything so you don’t have to. We’re excited to show you what we can do for your online presence – give us a call or send us an email! Call (888) 577-8027 ext. 1 for sales, anytime Monday through Friday, 8am to 5pm PST.